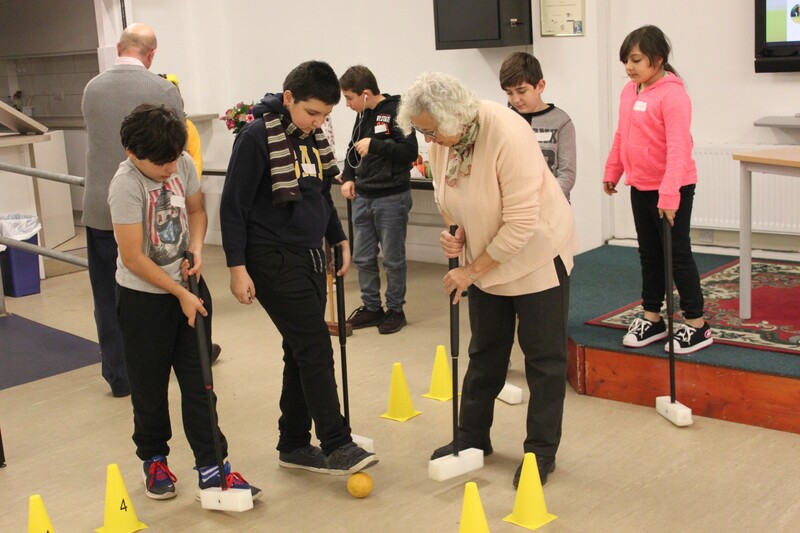 Towards the end of last year Ealing members Annie Kasparian and Simon Tuke spent an enjoyable evening demonstrating the basics of croquet to the Youth Group at the Acton Armenian Centre. With a lightning fast floor conditions were interesting, but using some training cones we contrived to create two ad hoc matches, with the girls playing the boys. The girls won both matches, despite being on average younger than their opponents; doubtless this will have given them bragging rights for months to come! We hope to welcome the group to the club soon, when the youngsters will be able to experience the game as played on grass, with proper hoops. Our warm thanks to the Armenian Centre for their hospitality.